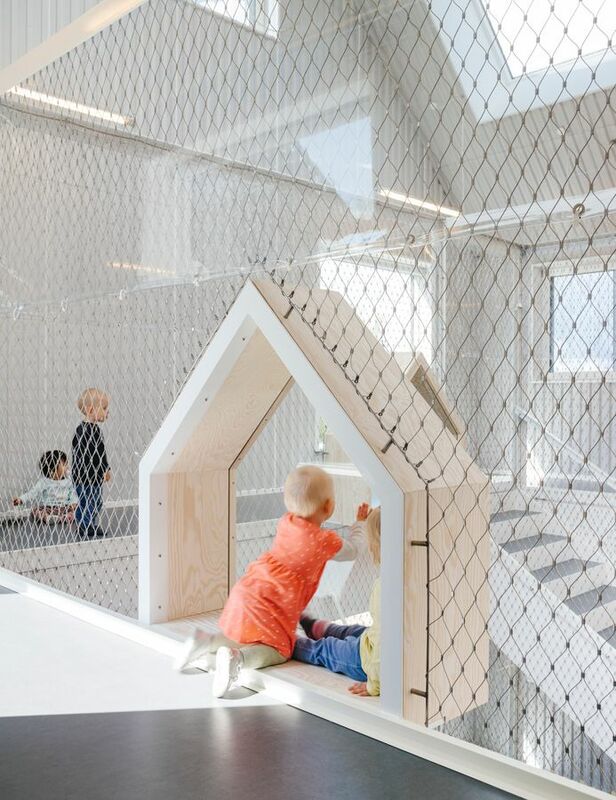 The architects at the Copenhagen-based firm COBE have created a concept that makes children feel like home for the new Smørblomsten Kindergarten. 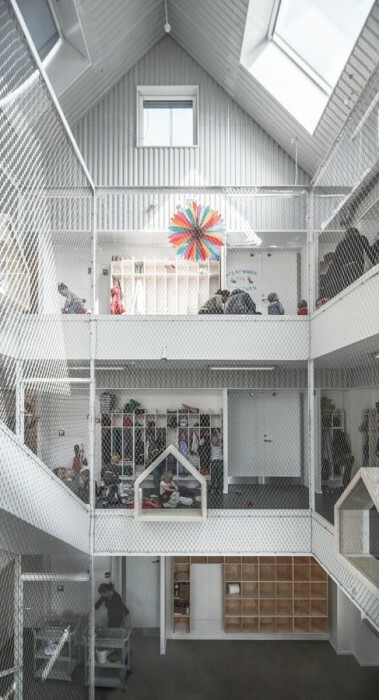 The new building, located in Frederiksberg, Denmark, aims to accommodate more than 180 kids, replacing it’s former premises which only housed 30. 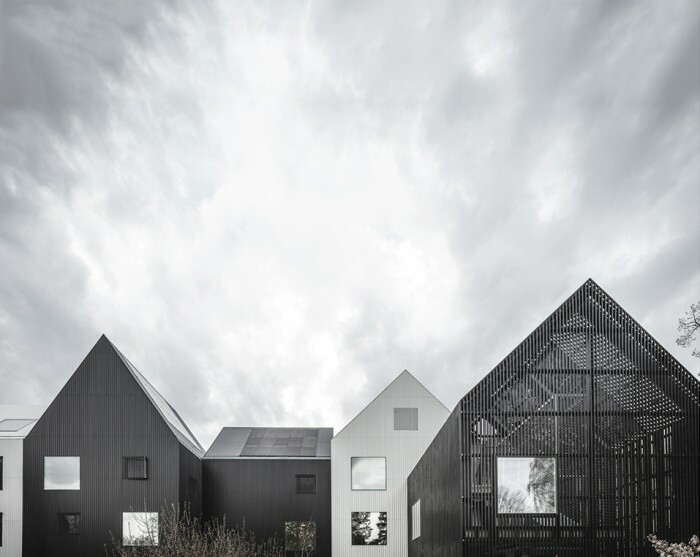 To make such a large kindergarten seems less expansive, the architects broke down the scale of the project; the result is a series of eleven small, compact and functional houses each conjoined with one another. 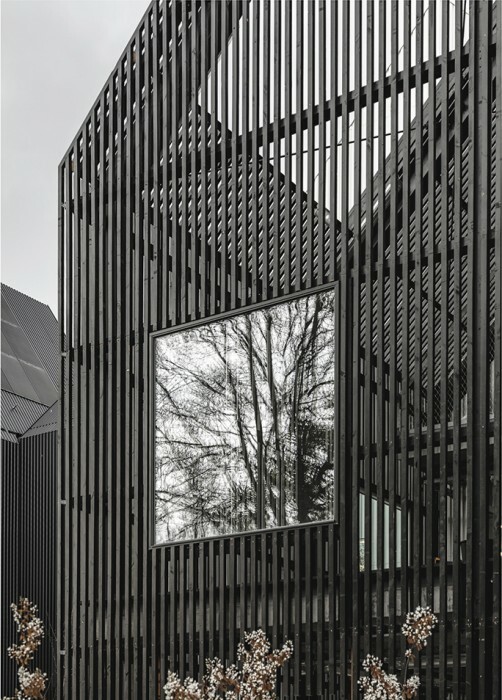 The general circulation in the building is organized around two internal courtyards – a concept that has been exploited in a similar project by EFFEKT (take a look here). 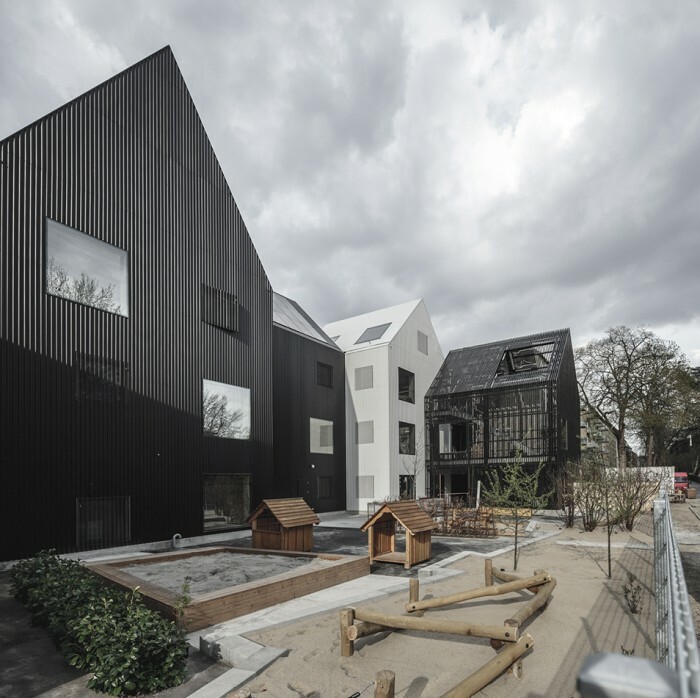 Each house differs in size and orientation, giving all kids access to outdoor spaces from their own floor. 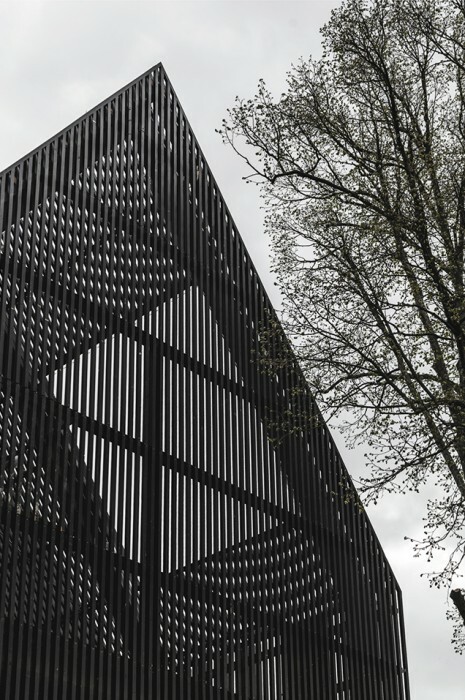 In addition to offering a nice playground for children, the architects were concerned with the scale, materials and colours to enhance the concept. 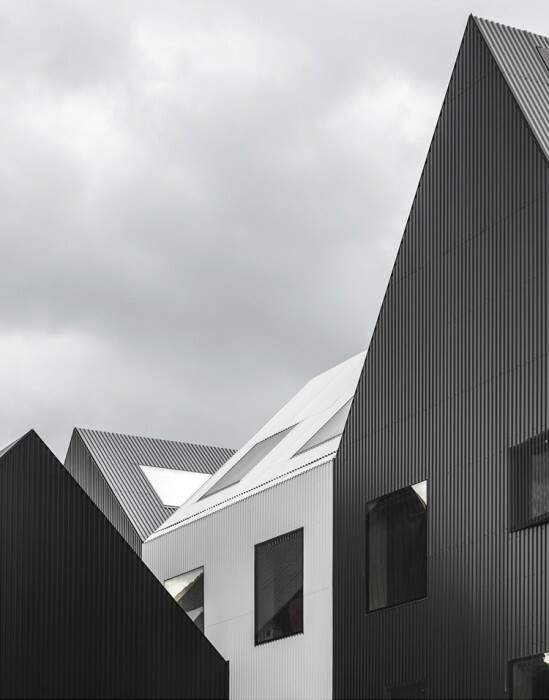 The gable-shaped volumes with black and white cladding make the whole project appear just as if kids drew it. 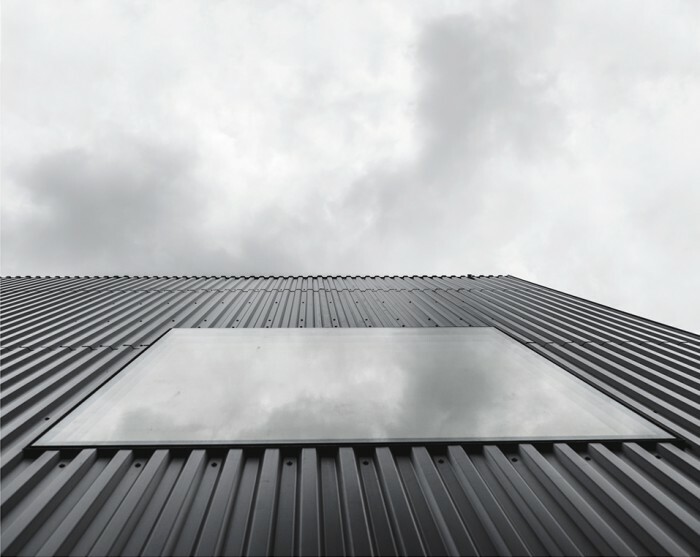 To achieve such a minimalist design, some complex construction features have been carefully designed, such as the frameless windows, uncluttered roofline and perfectly executed material junctions. 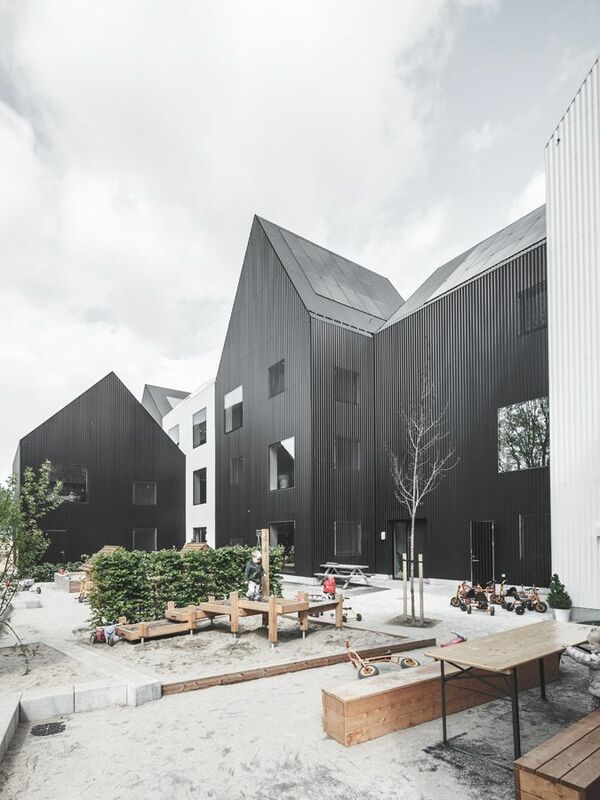 I especially like the indoor-outdoor play area, expressed as the open, wood-wrapped buildings on the site. 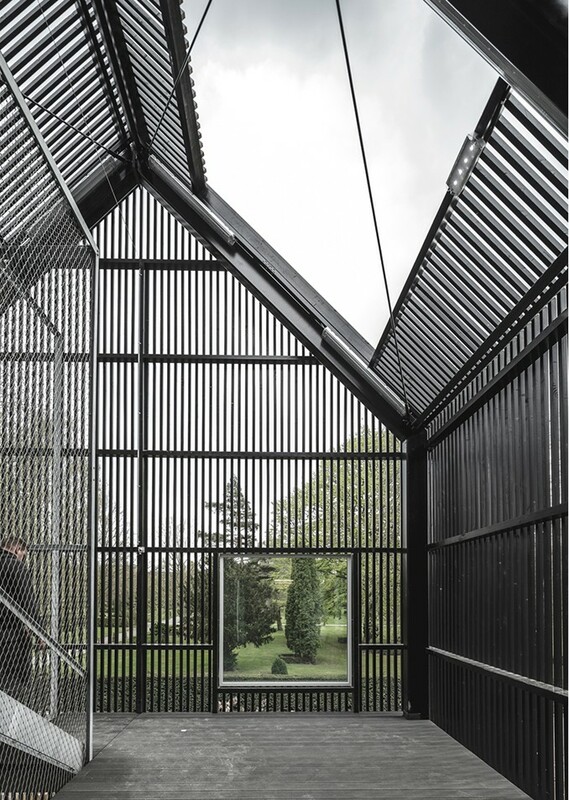 All in all, the design emerging from that concept is bold and really graphic, and definitely interesting. This is fantastic! 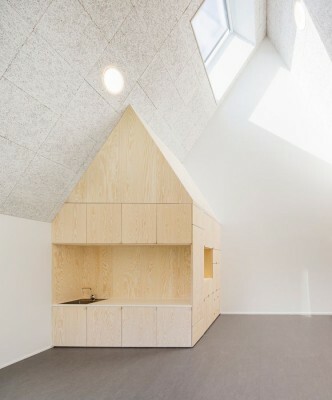 I hope to build one here in Manila someday!